The frequency sewer lines are used on a day-to-day basis makes clogs and faulty systems likely, and ignoring the symptoms of problems unaddressed can be costly and dangerous. Leaving the symptoms of problems unaddressed can quickly become dangerous and costly. Addressing the clog as soon as possible can help you to avoid disasters, and no matter the extent of the damage, our specialists at Bob Oates Plumbing, Sewer & Rooter, are here to help. We value your time and money, and we make sure that we will take care of the problem quickly so that you don’t have to deal with extended downtime or inconvenience. At Bob Oates Plumbing, Sewer & Rooter, we offer you only the most advanced systems and technology in the form of Nu Flow lining. This type of trenchless pipe lining is the best on the market and will not only save you time but also money in the long run. We have the knowledge and skill required to restore your pipes without any delays. Nu Flow lining is an incredibly versatile system that can be used to fix varying materials including PVC and Orangeburg. It can be used in both commercial and residential areas and even confined spaces without us needing to dig a single trench, tear down a wall, or break through the floor. The first step to any of our work is a sewer camera inspection, a process that allows us to determine the levels of damage in the pipeline directly from the inside. Through the live video footage that is relayed to our monitors from the camera, our specialists will be able to pinpoint the exact problem with complete accuracy and precision. From there, we will be able to tell you exactly what needs to be done to reverse the damage and restore your pipes. Your pipes will then be cleaned with our hydro jetting equipment in a process that relies on strong, hot blasts of water to remove organic materials in the pipes, restoring the diameter of the pipeline while ensuring that any clogs or other obstructions are fully removed. Now that your pipe is prepared for lining, an inflatable liner will be assembled to be inserted into your pipe. This liner will be saturated with an epoxy resin formula based on Nu Flow technology and innovations. The liner will then be inserted into your pipe and inflated to fit your pipe perfectly. As it cures, it will become stronger than your old pipe. This seamless system will be more effective than traditional pipes since it does not have any joints or seams for future clogs to become latched on to. Once the installation is fully finished, this newer and stronger pipe will extend the life of your system as a whole by 50 years by working smoothly and efficiently while also reducing the risk of problems with its durable and strong qualities. Nu Flow lining is the culmination of the best solutions and technology put to work for our customers living in Capitol Hill. 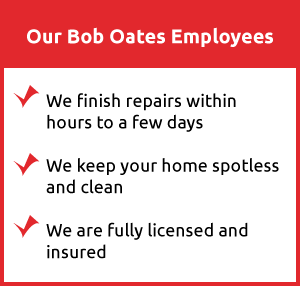 At Bob Oates Plumbing, Sewer & Rooter, we make sure that our technicians are trained to be the very best at what they do, and when you require pipe lining services, we will be ready to serve you. Call our team for more details, and we will be happy to speak with you.